Got an idea? Want to find out if it has potential? Do you need help drafting a business plan? Are you looking for partners to help you start your business? Or do you want to learn about patents and licensing to protect your invention? Technical University of Munich (TUM) will help you every step of the way should you decide to transition your research findings to the business world. TUM has a wealth of experience in advising scientists, researchers and students who want to start a business based on an idea or technology they have developed. TUM's start-up advising service helps them develop their business plan and provides support at every stage of the start-up process. 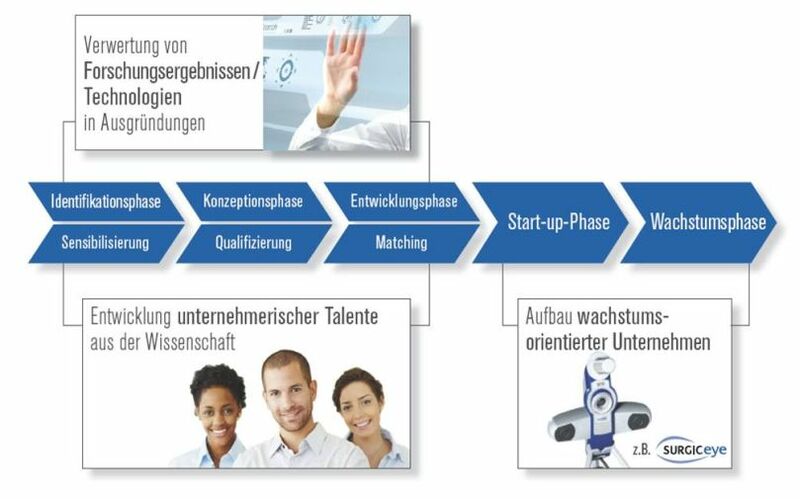 Comprehensive start-up advice is also available from our Center for Innovation and Business Creation, UnternehmerTUM GmbH. Its Entrepreneur's Night is an event that is not to be missed for anyone looking to network. TUM offers theoretical and practical training for budding entrepreneurs to help with the start-up process. The TUM School of Management and UnternehmerTUM offer a range of interdisciplinary Bachelor's, diploma/degree and Master's programs as well as an EMBA program. UnternehmerTUM GmbH also organizes informative seminars and lectures with practical experts. National funding programs are available for technology-oriented start-up projects to help spin-offs through the difficult initial stages of starting a business. The TUM Start-up Advising team works together with you to evaluate whether you meet the requirements to apply for various funding projects and helps you submit your application. filing of a patent application and asserting patent rights.